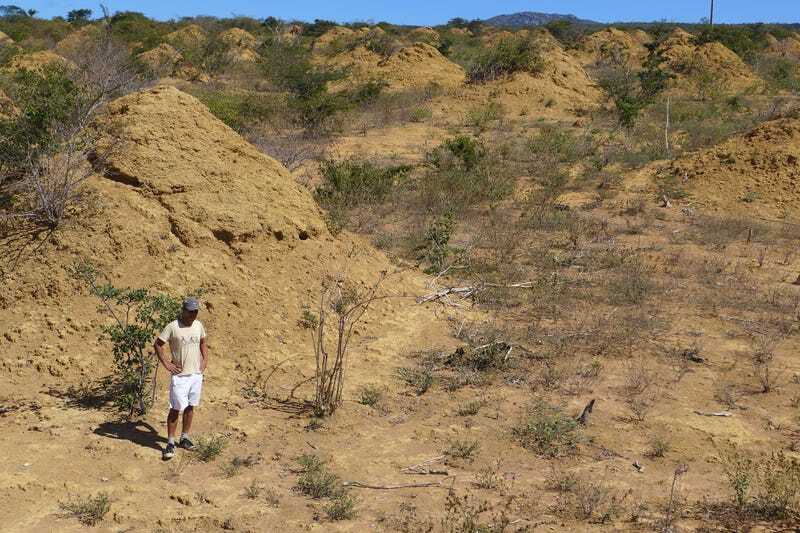 As described in a new paper published today in Current Biology, the regularly spaced termite mounds date back nearly 4,000 years and cover an astounding 230,000 square kilometres (88,800 square miles) of dry tropical forest in a relatively undisturbed region of northeastern Brazil. The mounds, measuring around 2.5 meters (8.2 feet) tall and 9 meters (30 feet) wide, took thousands of years to build by an untold number of termites, all of which belong to the same species, Syntermes dirus. “These tunnels are constructed so that very small and temporary branch tubes can be built vertically to reach the forest floor, allowing them to forage close to the temporary tube, as many predators – namely ants – exist on the forest floor,” Martin told Gizmodo. These termites feed exclusively on the dead leaves that fall from the caatinga vegetation – a dry shrubland and thorn forest. The caatinga leaves fall only once per year, so the termites rely on these tunnels to quickly access large areas of the forest floor to collect the food. 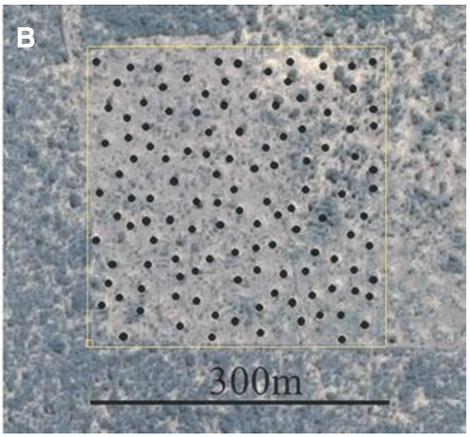 This excavating and tunnel-building behaviour has been repeated for thousands of years in the forest, resulting in the formation of 200 million conical mounds. 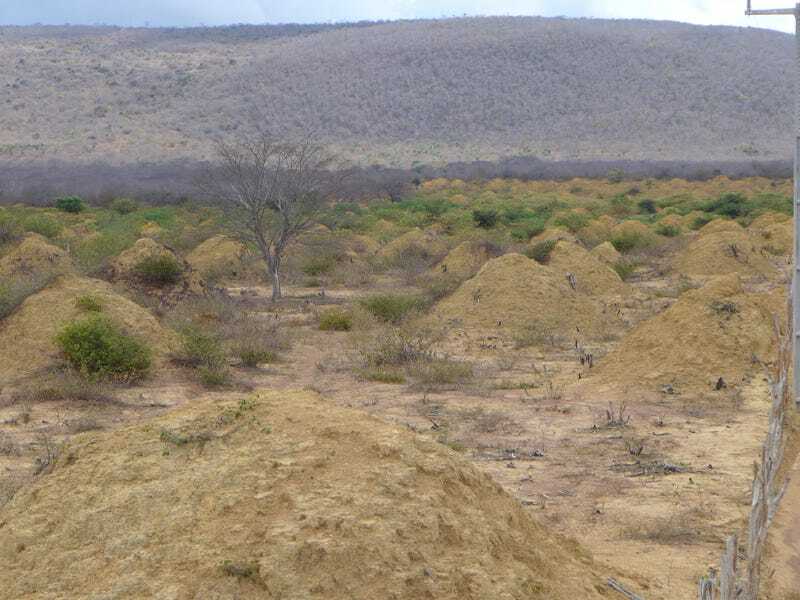 The researchers estimate that approximately 10 cubic kilometres (2.4 cubic miles) of soil has been processed by the termites during this time – a volume roughly equal to 4,000 Great Pyramids of Giza. It’s now considered one of the largest structures ever built by a single insect species.